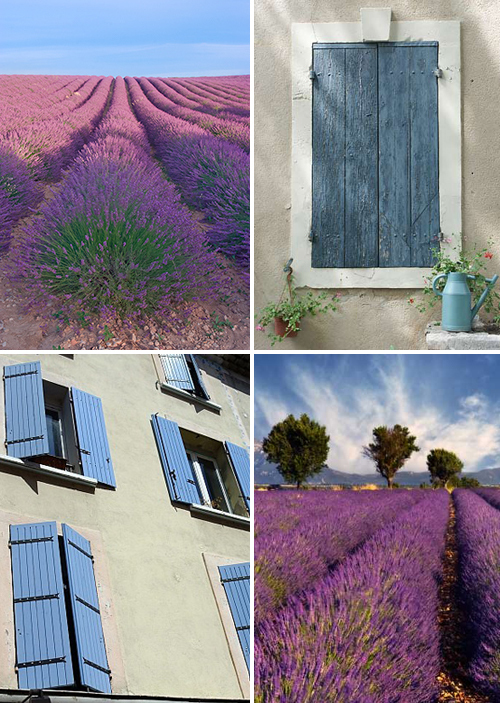 Today’s beautiful weather inspired me to do this post about the Provence, one of my favorite holiday destinations. 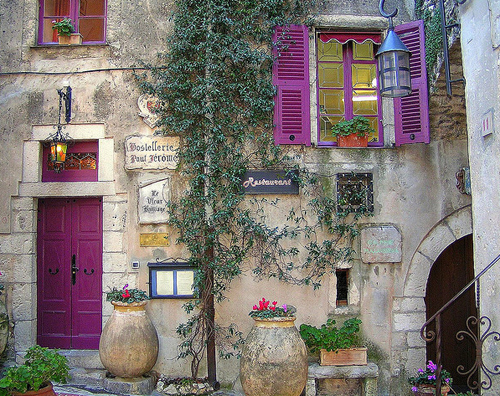 The food, the wine, the beautiful colors and the beautiful houses with those typical French door shutters … life is good over there! 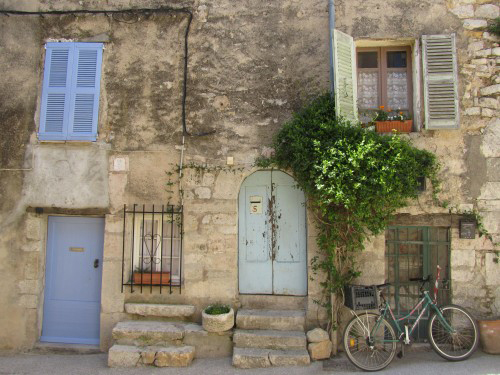 The blue shutters are typical for the Provence region. You see a lot of houses here with shutters in this particular color. Isn’t the purple color of the lavender fields stunning! 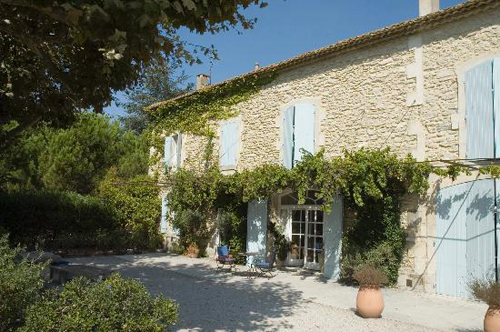 A traditional Provence farmhouse is called a Mas. gorgeous images!! that first image is absolutely my favorite. Love the style of the houses and the lavenders are lovely! I´m fascinated with that region, I love the color of the stones that they use to build their houses, I love the lavender fields, the landscape, the little ancient towns, the food and climate. It´s just beautiful. The pictures are amazing. I spent some time in Paris last fall but now I have to go back to see Provence! beautiful post! exactly what i need to end the week on! thanks for inspiring me! I simply adore these images and included one here. Gorgious region… mine also… I try to get there once a month… just for breathing!! our holiday °Mas° is loved in a very cute village you’ll certainly enjoy… see you there or in DAm on the 25th june…may be!! Wow, those fields! I can’t wait for the fields to turn to color here in Switzerland! Although I read your (lovely) blog since a long time, I’ve never wrote but when I saw the 1st pic, I couldn’t resist as I know it well. It is from a village called La Turbie, close to the italian fronteer (and Monte-Carlo). It is of a very very very good restaurant (small hotel too) called Hostellerie Jérôme : http://www.hostelleriejerome.com/ They have also a kind of bistrot, cheaper, in the same village. My future home site! ..I wish..